A woman whose long-term partner died has won a legal battle that is likely to improve the pension rights of unmarried couples in the public sector. Denise Brewster, who was denied payments from her late partner's occupational pension, argued that she was the victim of "serious discrimination". Following a to and fro legal fight, she won her case at the UK's highest court. The case was closely watched by pension schemes which could change their rules. A spokesman for the Treasury said: "We will need to examine the implications carefully." Ms Brewster, a lifeguard from Coleraine, and Lenny McMullan lived together for 10 years and owned their own home. Ms Brewster told the BBC: "This was about so many other families." 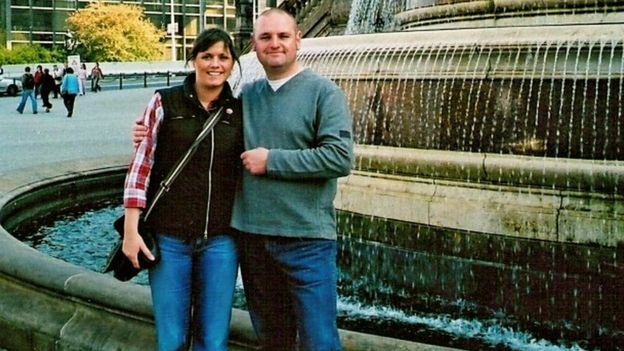 She said that losing a loved one was "horrendous" and that others - especially cohabiting parents - were being "thrust into hardship" as a result of losing a partner, their income or their pension. "Lenny would have been happy that so many other people are going to benefit as a result of this [decision]," she said. 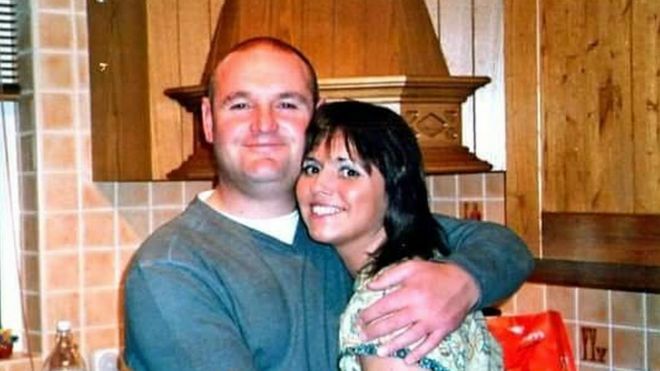 Mr McMullan died suddenly at Christmas in 2009, aged 43, two days after the couple had got engaged. At the time of his death he had worked for the Northern Ireland public transport service, Translink, for 15 years, paying into an occupational pension scheme administered by the Northern Ireland Local Government Officers' Superannuation Committee (NILGOSC). If they had been married Ms Brewster would have automatically shared the pension that he had built up. Instead, co-habiting partners were only eligible for survivor's allowances in the same way if she had been nominated on a form. However, this form had not been completed, although Ms Brewster thought it had. Denise Brewster's eight-year battle for justice could benefit large numbers of public sector workers. Nurses, teachers, civil servants, police and fire officers all have to fill in a nomination form if they want their partners to share in their pension if they die. In this case, the form has been condemned as "unlawful discrimination" by the Supreme Court because you do not have to fill it in if you are married. The relevant clauses of European Convention on Human Rights lay down that you must have peaceful enjoyment of your possessions, and that your rights should be secured without discrimination. Ms Brewster, who is aged 42, argued in court that the system of nomination forms discriminated against her and breaches her human rights. She initially won her case in the High Court in Northern Ireland, where a judge said that it was "irrational and disproportionate to impose a disqualifying hurdle of this kind". She had used crowd-funding to raise the money to bring that case. However, that decision was then overturned in the Court of Appeal in Northern Ireland before the case headed to the UK Supreme Court for a final decision. Five Supreme Court justices unanimously ruled she is entitled to receive payments under the pension scheme, saying that the nomination form was "unlawful discrimination". The result could have implications for the rights of co-habiting couples working in the public sector - including NHS staff, teachers, civil servants and police, although the local government schemes in England, Wales and in Scotland has already been changed. Other public sector schemes could change their rules so unmarried couples automatically benefit from survivor's pensions without being opted in. They would still have to prove that, as a couple, they had been together for two years and were financially interdependent - for example, having a joint bank account. It will also be open to other pension schemes to argue that discrimination is justified in some circumstances, prompting some legal experts to suggest the impact could be limited. The judgement points out that these nomination forms are less common in private sector schemes. "Most large occupational pension schemes in the private sector now provide survivors' benefits for unmarried partners," the Supreme Court judgement said. Former pensions minister Steve Webb said there should be the same rules for married and unmarried couples across the pensions system. "I guess the simple thing is consistency between married and co-habitees' pensions," he said. "With every passing year you have got more people living together and pension practice needs to reflect the world we live in and not the world of 50 years ago." Nicola Waldman, private client partner at law firm Hodge Jones and Allen, said the court ruling could prompt more cases that could affect the tax system. "What is particularly interesting about this case is whether it will spark fresh legal challenges in other areas of perceived discrimination against cohabiting couples, including inheritance tax and capital gains tax," she said.